If you have, or know of someone with a physical disability, you will recognise how difficult it can be to access public disabled facilities from time to time. Sometimes it’s outside normal hours and the council has locked up for the night or weekend. Or, the facilities are closed due to the risk of vandalism. Did you know that with official documentation, you can access these facilities any time to want. You can apply to the Master Locksmith’s Association for a Master Locksmith Access Key. This key is provided to the applicant, giving them the ability to unlock public facilities such as toilets or special playground equipment. How awesome is that! If you decide you would like to apply for one, click the link above. It gives information and links about where to find MLAK services are enabled around Australia. There are strict eligibility requirements to have one of these keys. If you meet these requirements and the lock system is in use in your area, this can open up many opportunities that wouldn’t be possible. 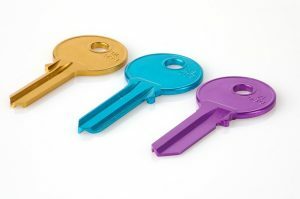 Out & About Locksmiths Canberra can provide you with one of these keys. This applies for services in the Canberra area. Just another thing that makes us the superior local locksmith. Get in touch with us today! http://www.outandaboutlocksmiths.com.au/wp-content/uploads/2018/05/key-74534_640.jpg 425 640 pippa http://www.outandaboutlocksmiths.com.au/wp-content/uploads/2016/04/247-locksmith-canberra1-300x139.jpg pippa2018-05-17 11:34:102018-05-17 11:34:10Did You Know?